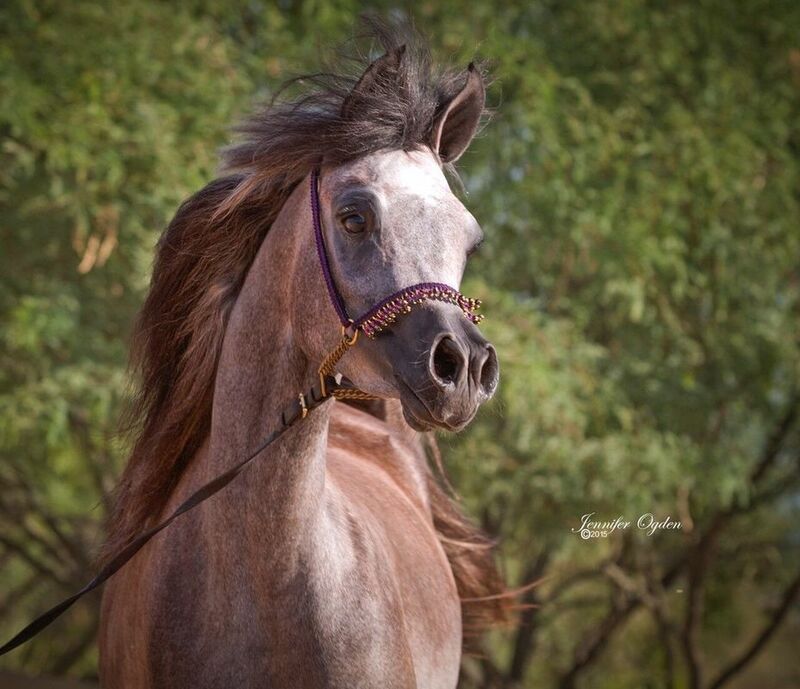 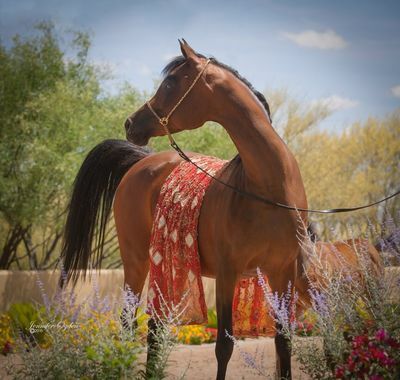 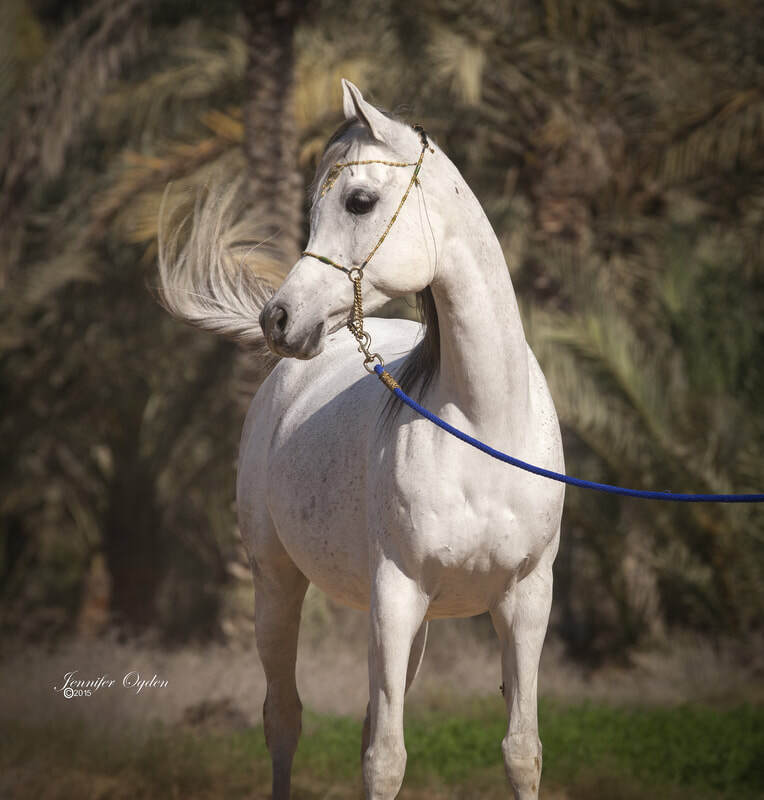 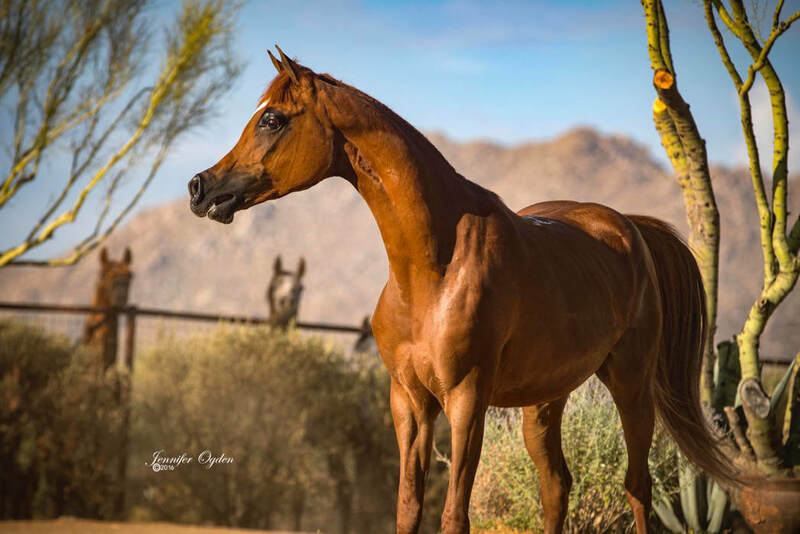 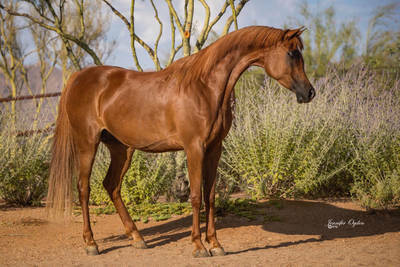 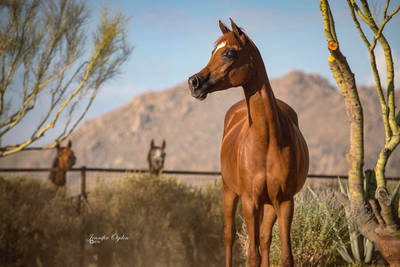 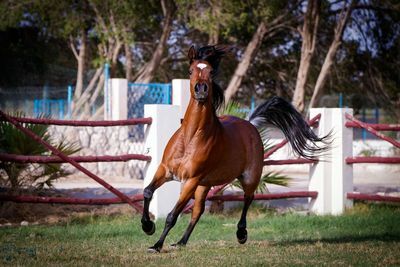 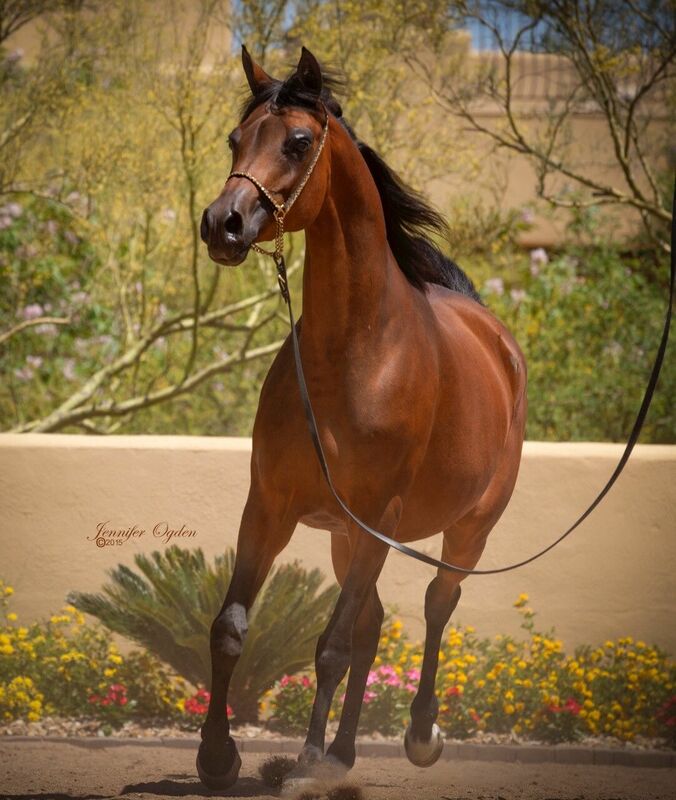 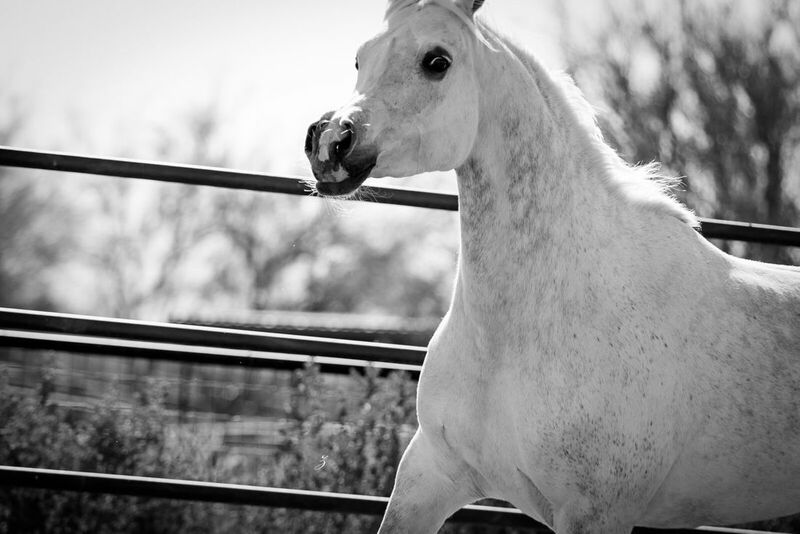 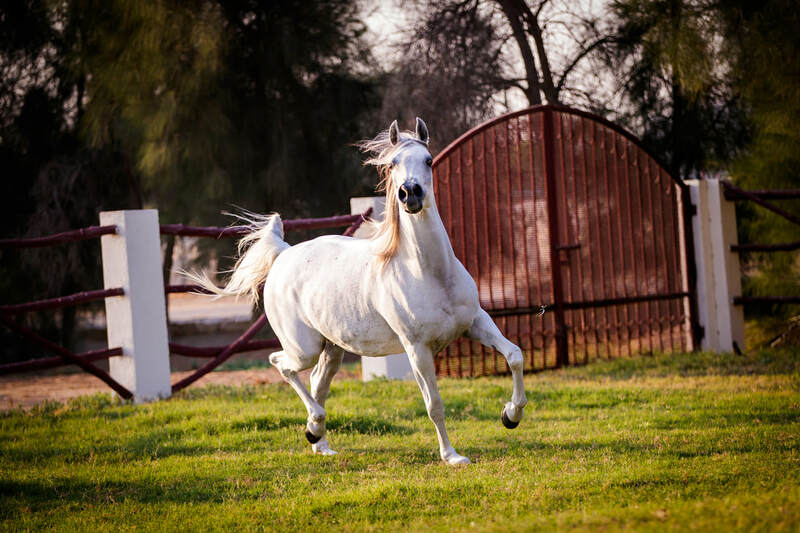 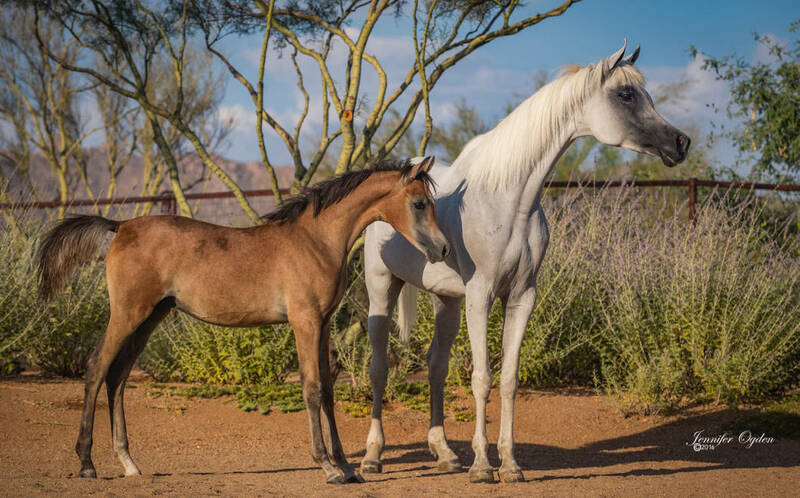 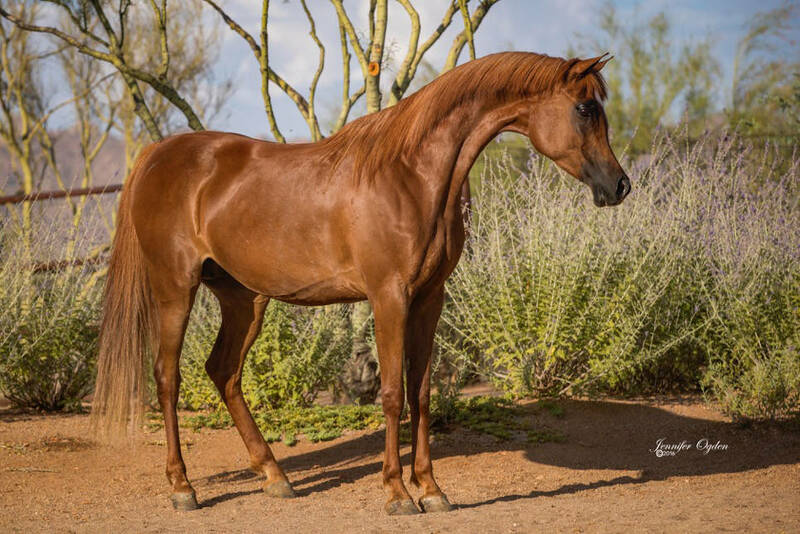 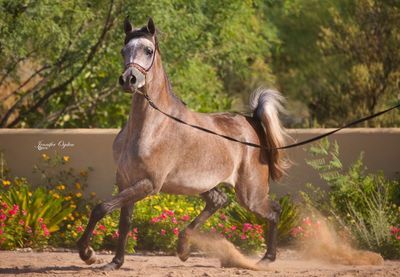 Basma Al Jood is a young mare descending from a rare and exciting combination of renowned beauty and show ring accomplishments. 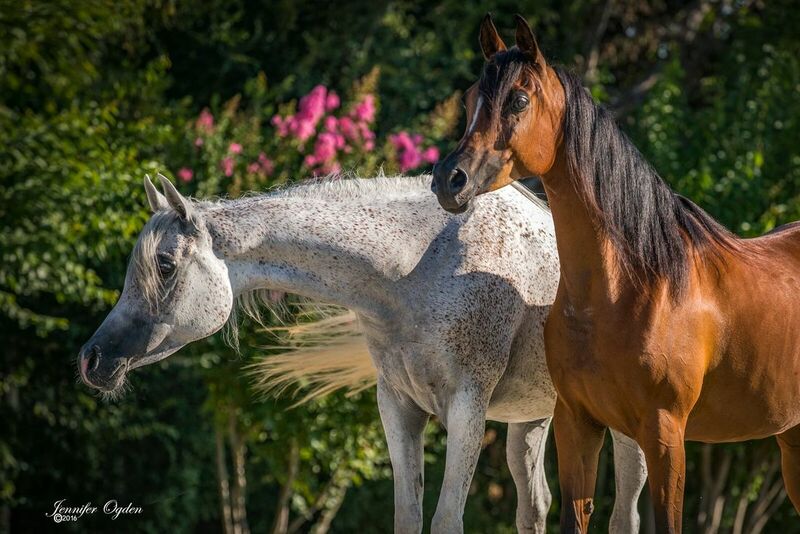 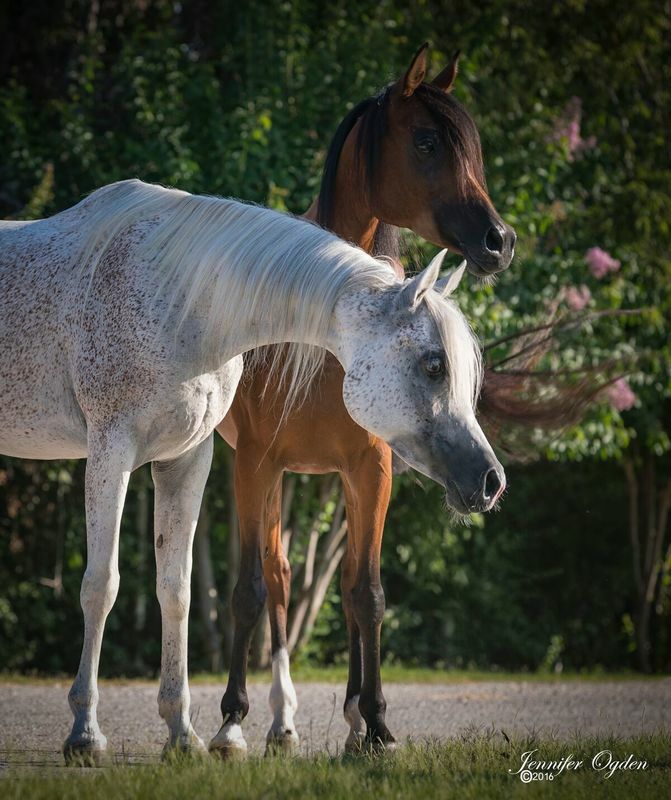 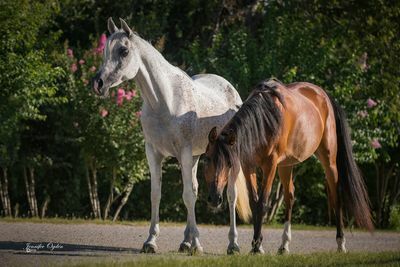 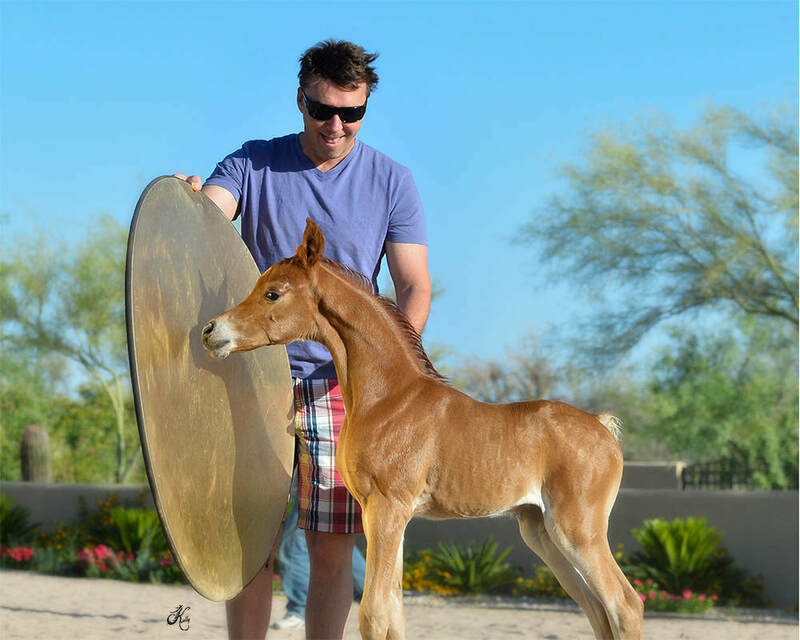 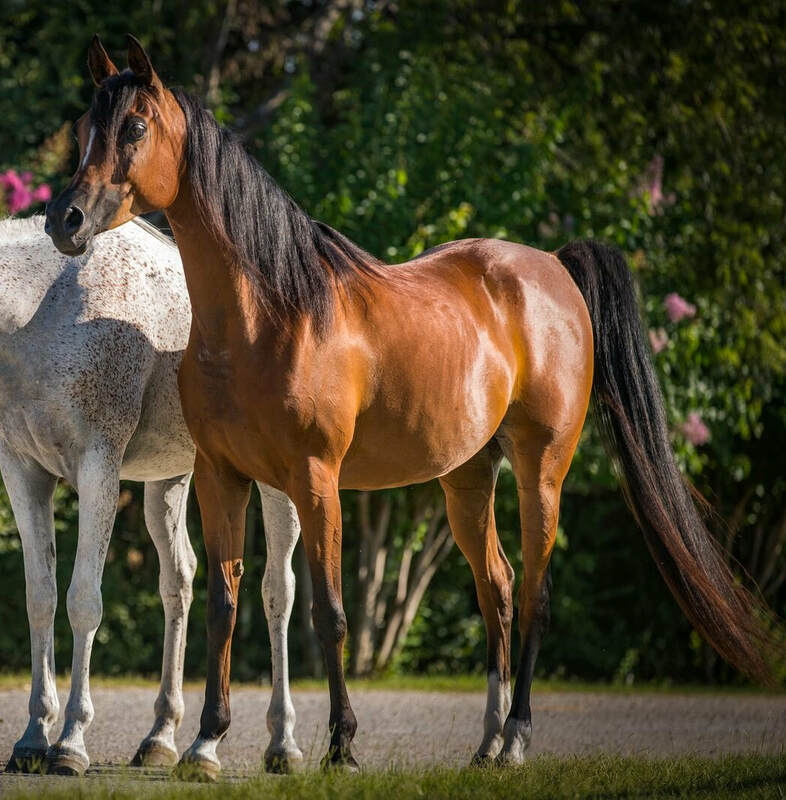 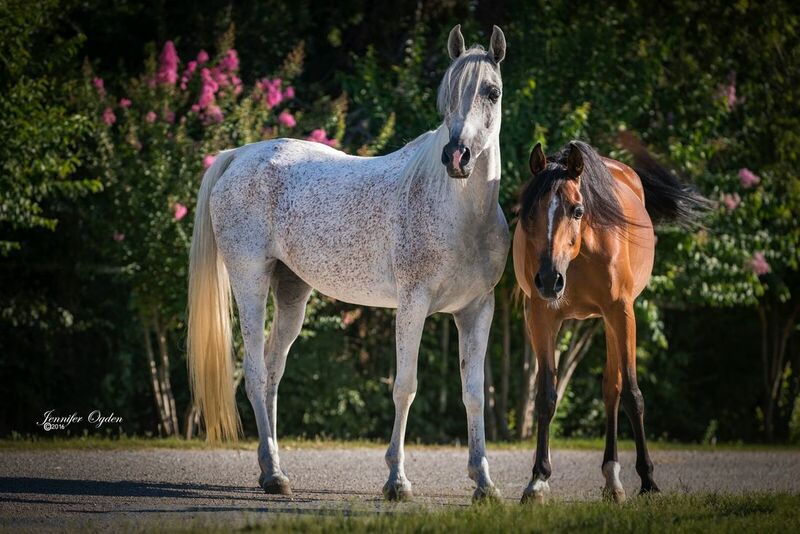 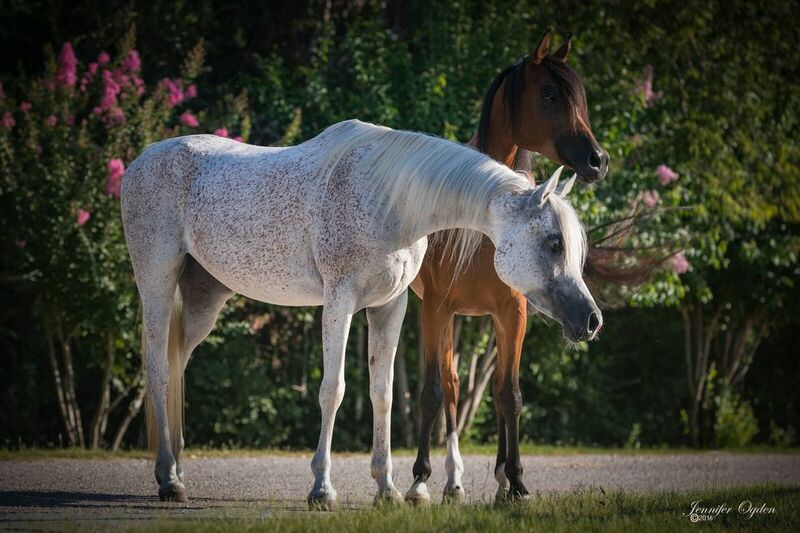 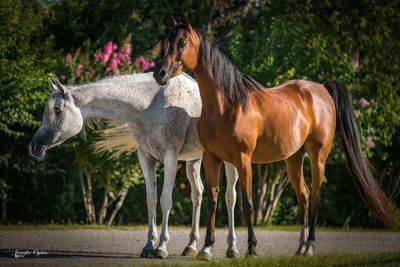 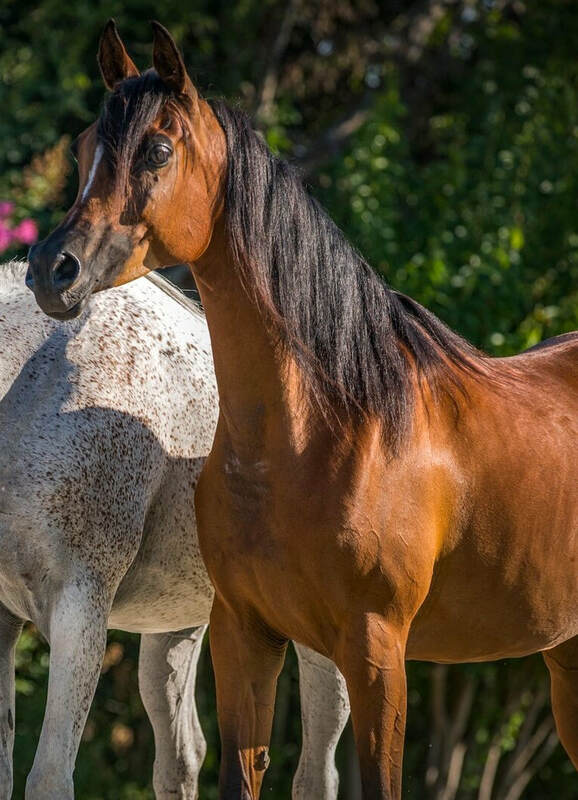 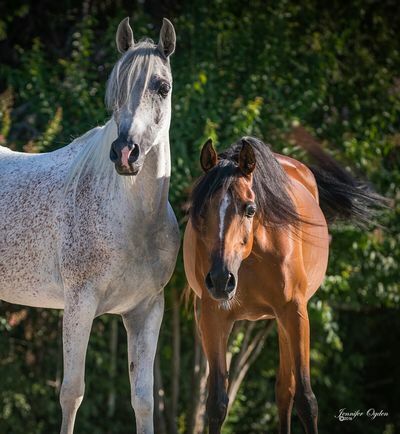 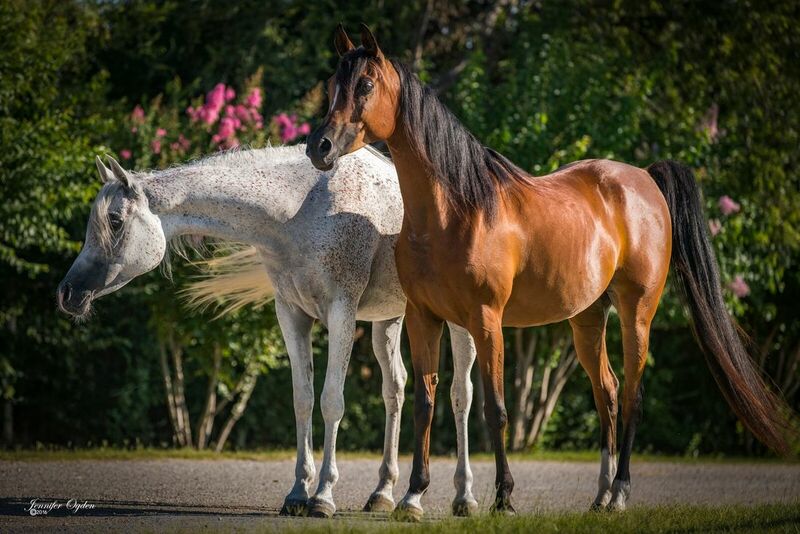 Bey Shah, Fame VF, Versace, Ruminaja Ali, WN Ultimate Star... all national champions and coupled with the type and beauty attributed to the focus, Wayne Newton and Om El Arab breeding programs, Basma Al Jood possess the best of both worlds. 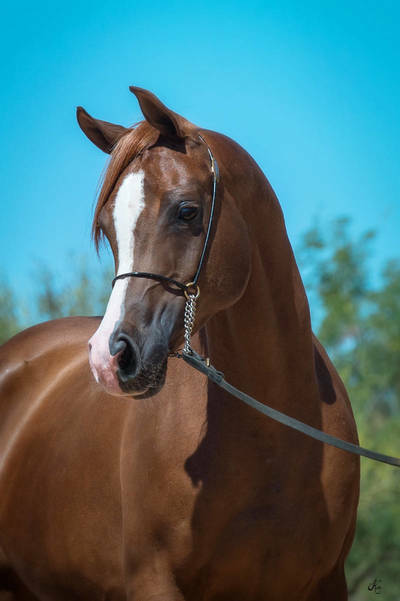 Dance Divine SMF is a highly impressive and typey Straight Egyptian mare, exhibiting the most valuable attributes of her unique ancestry, the immediate generations boasting consistency of phenotype, athleticism and high quality. 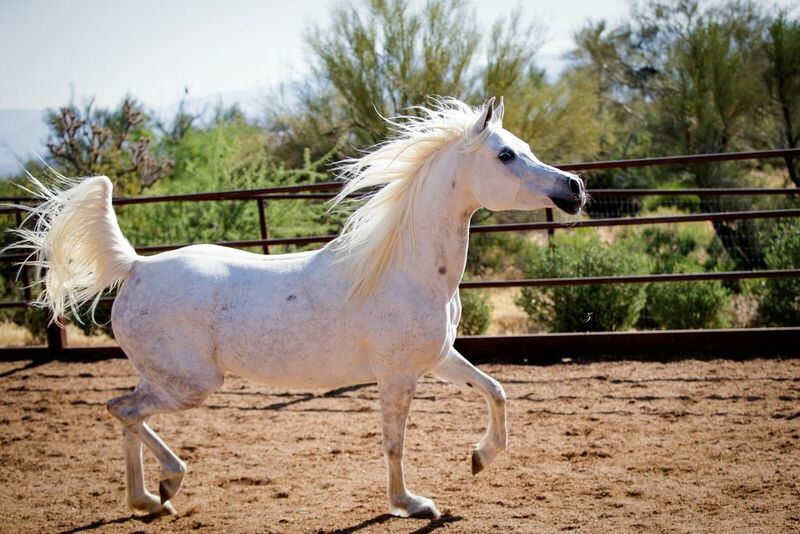 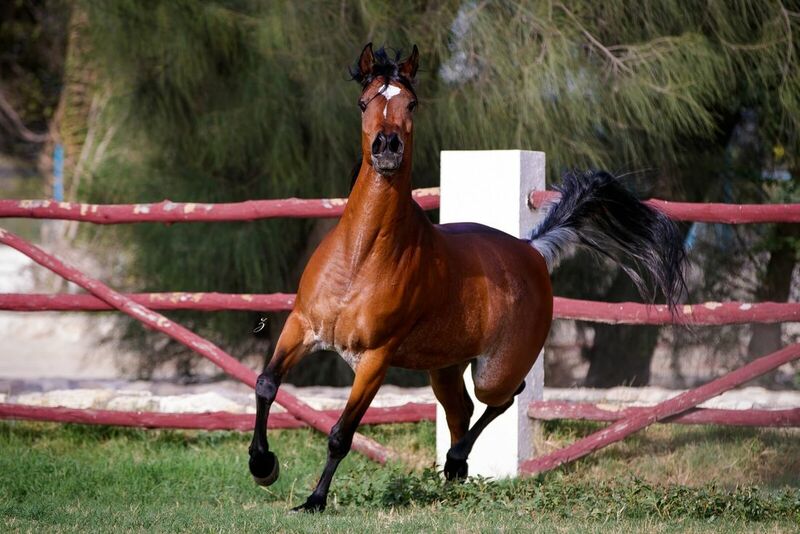 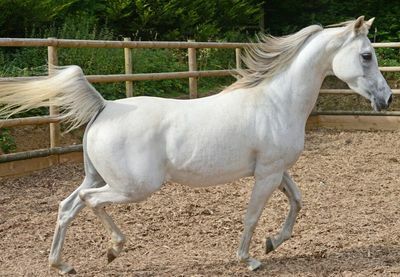 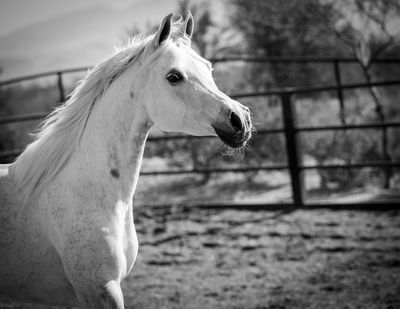 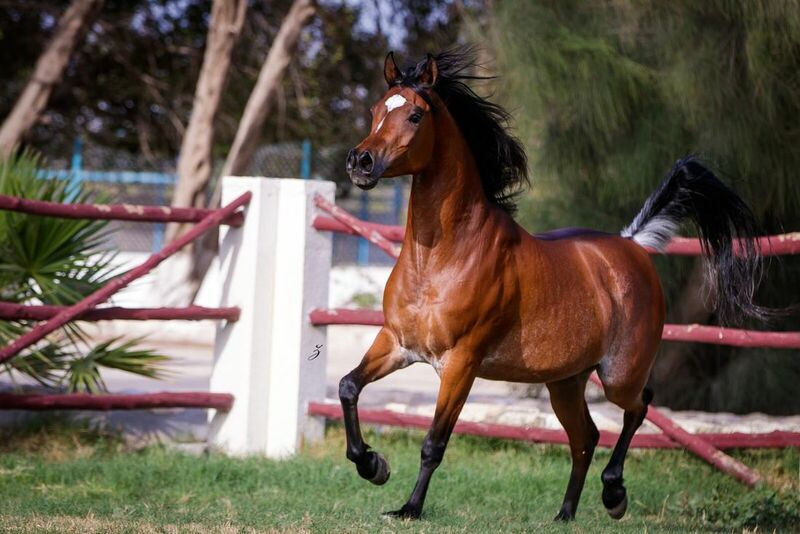 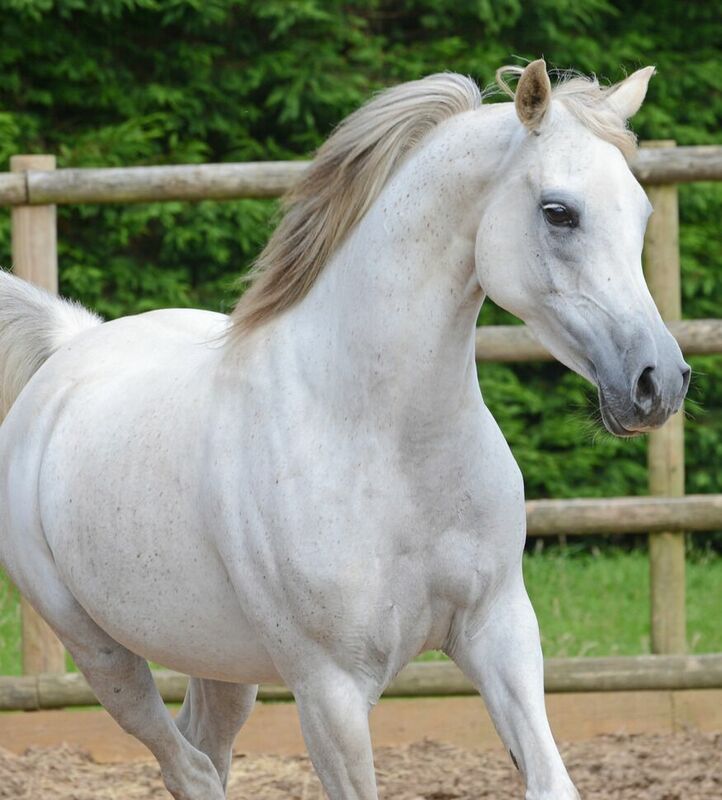 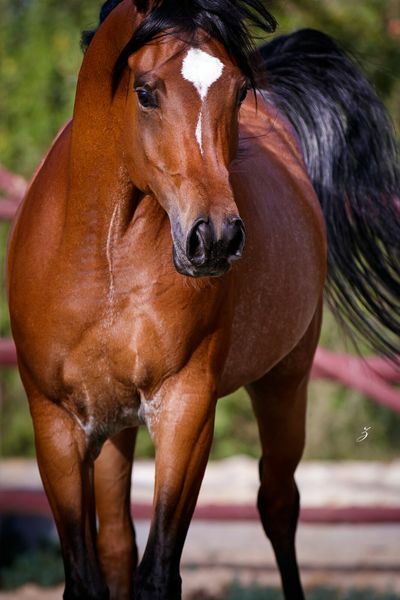 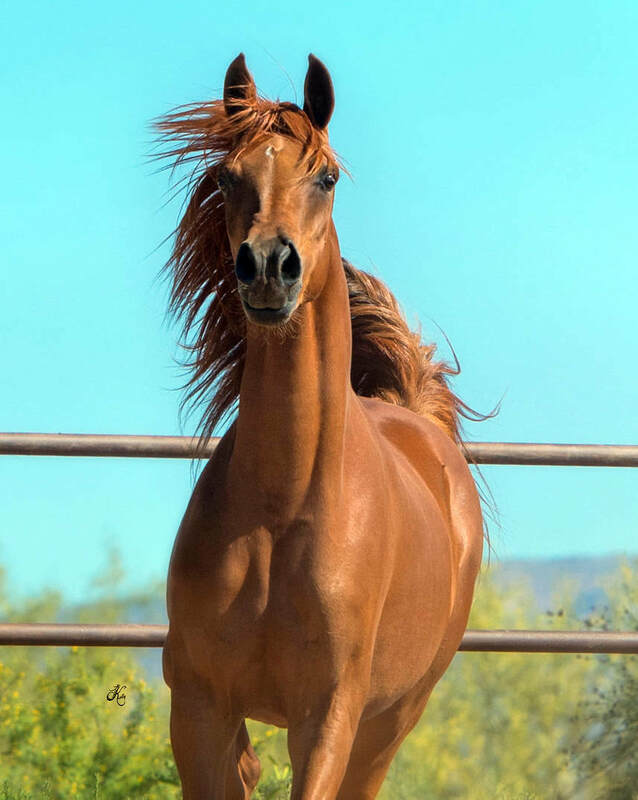 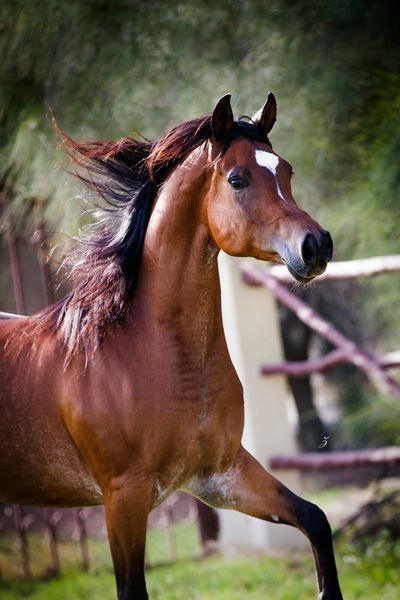 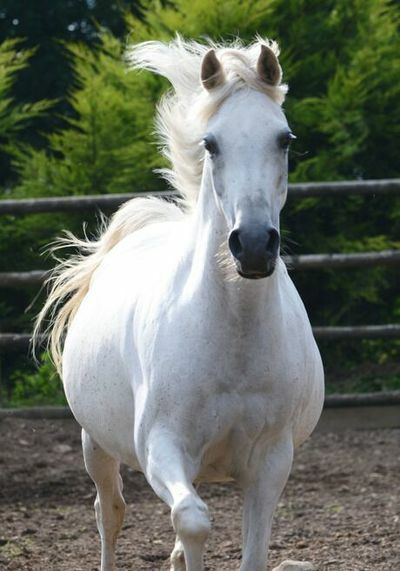 FS Hibah El Perseus is typical of Brazilian breeding; a tall, bold moving and correct mare. 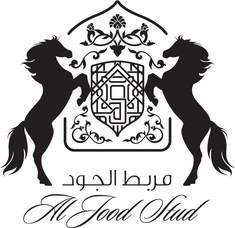 Embodying the conformation of Ali Jamaal and the blow and snort of Bey Shah, characteristics appreciated around the world. Magnum Psyche – S Justadream – Thee Desperado – Padrons Psyche – Padron – Afire Bey V – Eukaliptus – Ruminaja Ali – Khemosabi – the best of the best and beautifully blended into one special pedigree – Just Thee Dream. And so much much more than a prestigious pedigree, Just Thee Dream is everything a breeder could want, perfectly exhibiting the finest characteristics of her elite family. 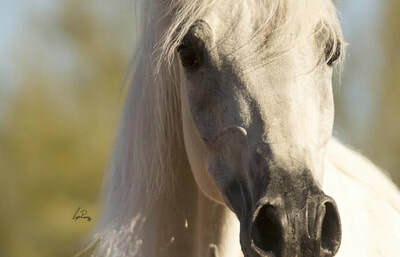 A daughter of the most successful sire in the industry, WH Justice. Bearing two crosses to the El Shaklan son, El Sher-Mann. Then add the Straight Egyptian legends: Shaikh Al Badi, Sultann, Ibn Moniet El Nefous and Ansata El Sharif to this already unique pedigree and there is no question where Khaleesi SWF inherited her extreme type. Nor is there any doubt that she will pass it along to her offspring. Ready for both a breeding and show career, Khaleesi SWF is among the most desirable daughters of WH Justice available today. 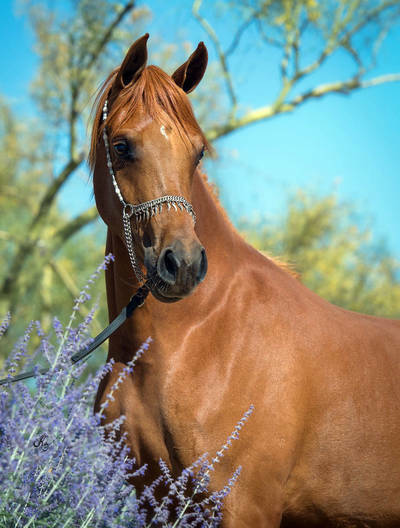 IN FOAL to Destinyed Valentino for 2018. 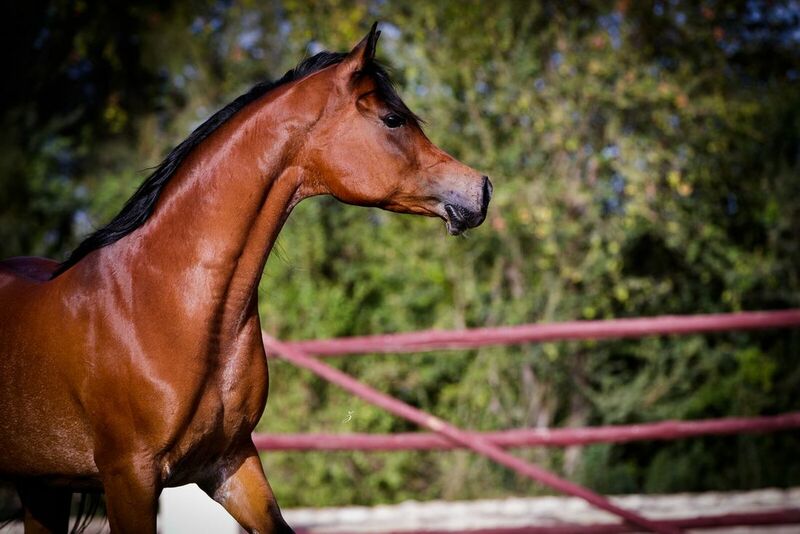 Magidaas Prevue RCA’s sire, Thee Infidel, a commanding presence and pedigree, bred for greatness and has delivered. The last son of the unmatched Bint Magidaa, Thee Infidel is a tall, stretchy bay stallion with unbelievable charisma. Striking people by having the same character and carriage as his maternal brother, Ruminaja Ali. 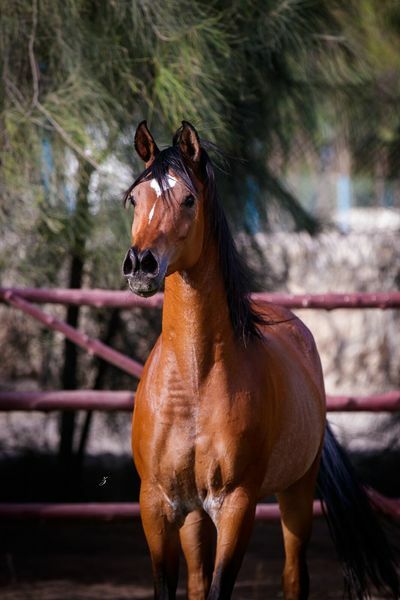 He combines the best of his father, Thee Desperado, and his mother, Bint Magidaa. 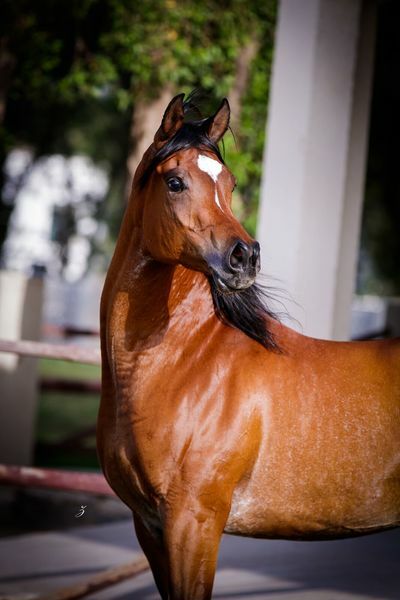 Magidaas Prevue RCA’s Straight Egyptian pedigree undoubtedly represents countless of current and past legends alike, Thee Infidel, Thee Desperado, The Minstril, Ruminaja Ali, Bint Magidaa, Morafic, Nazeer, Mishaal HP, Ansata Sinan, Prince FA Moniet, Ansata Halim Shah, and many more. 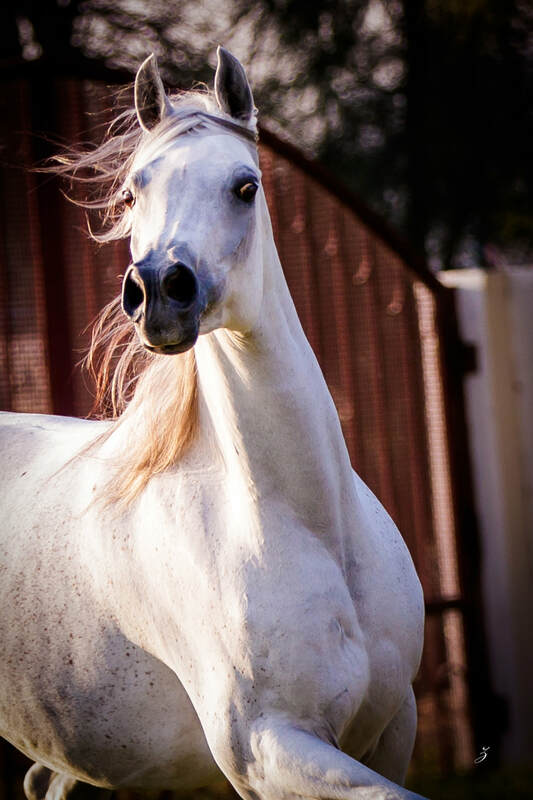 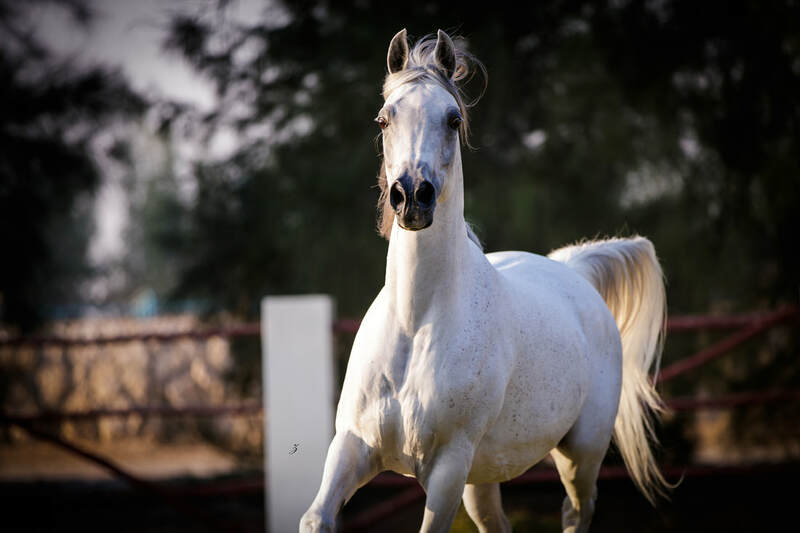 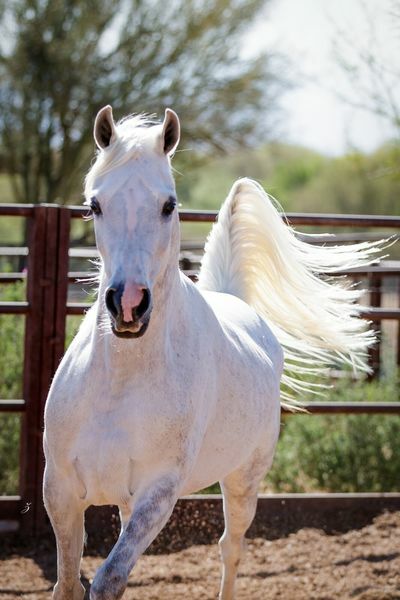 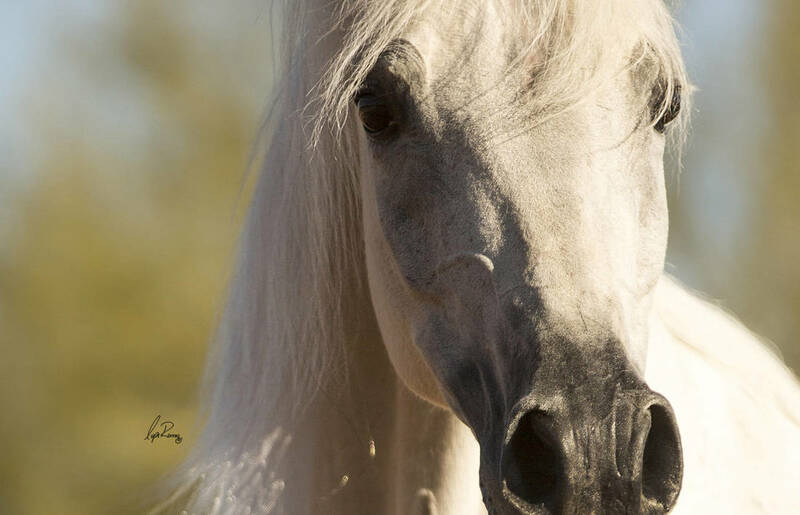 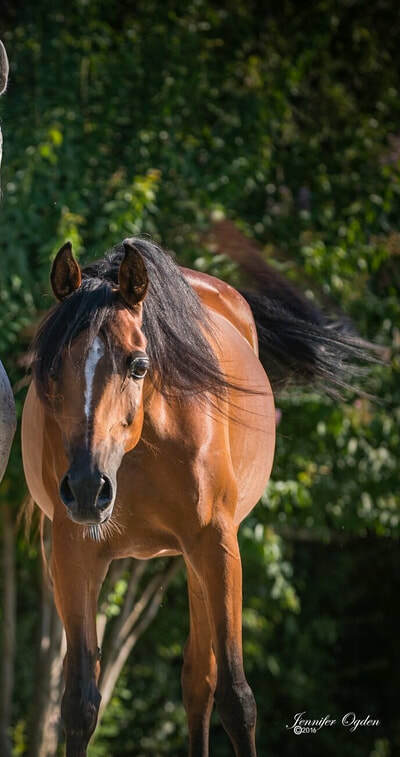 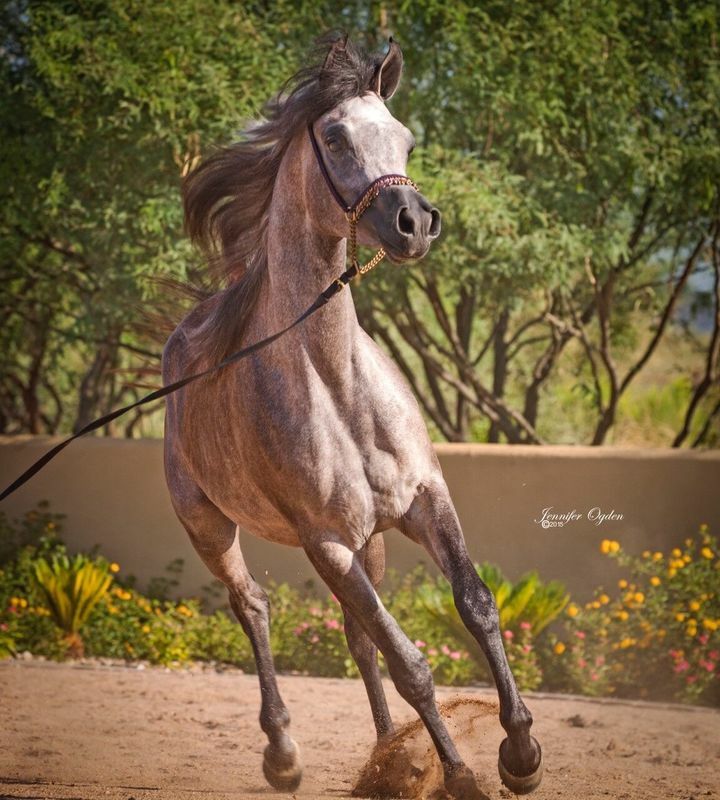 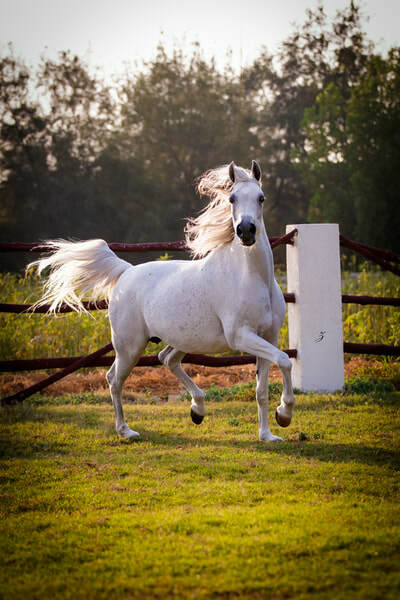 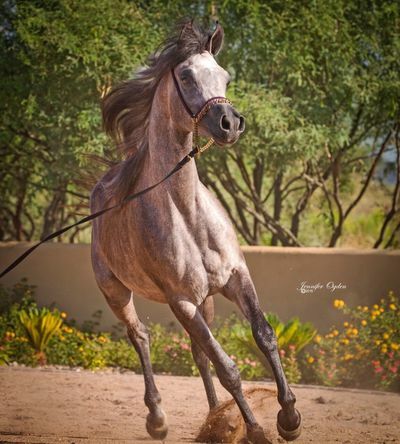 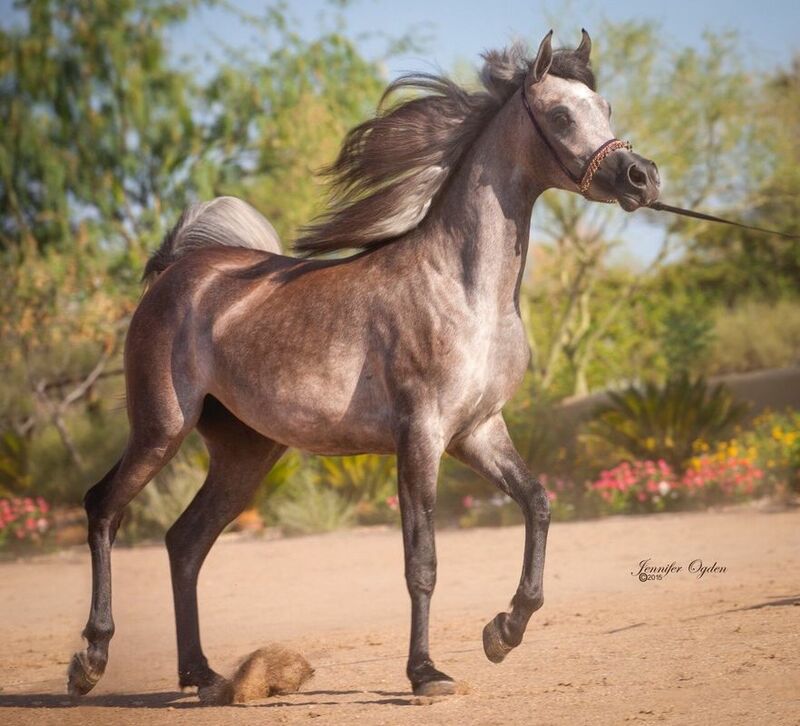 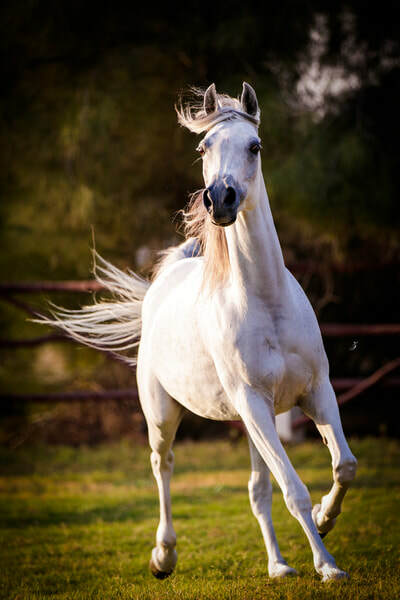 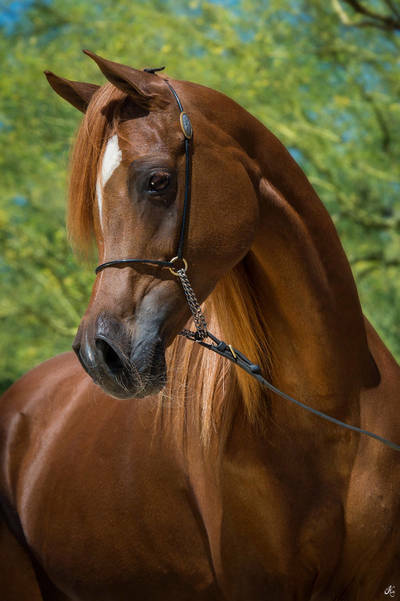 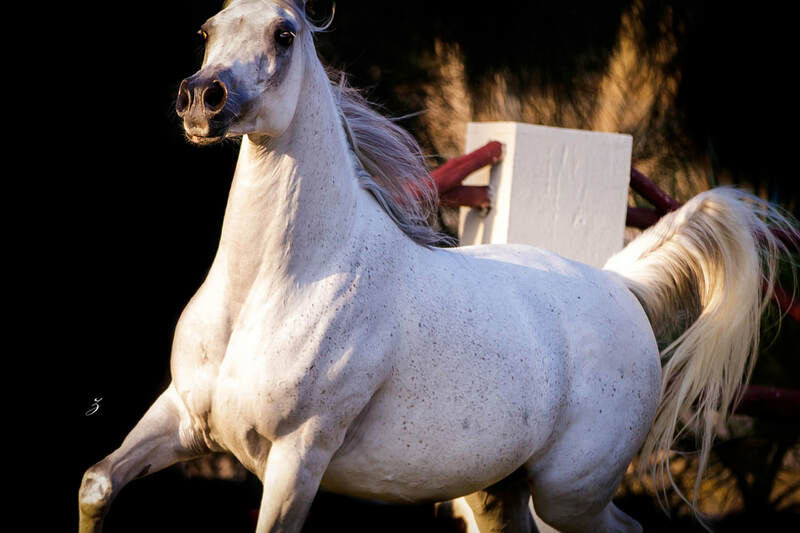 Mijan Heleenaaa’s sire Mijan El Kadaar exemplifies classic Straight Egyptian beauty at its finest-possessing balance and smooth conformation, unusual charisma, and exceptional movement. 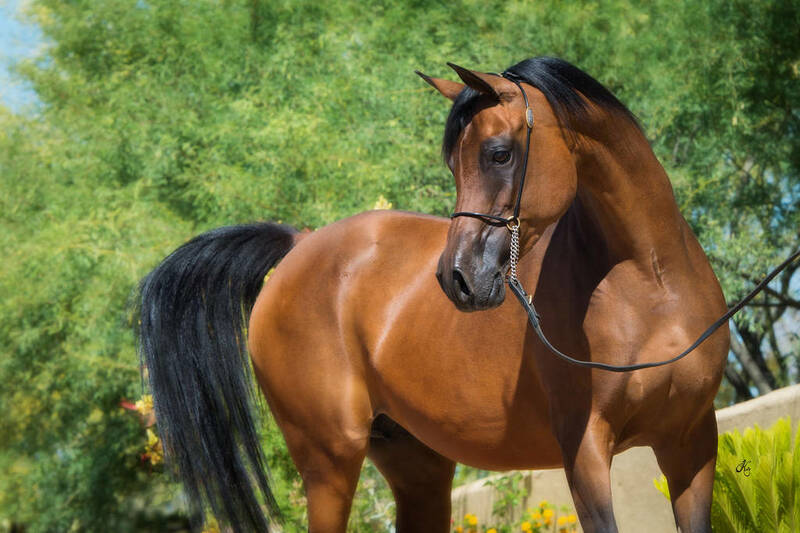 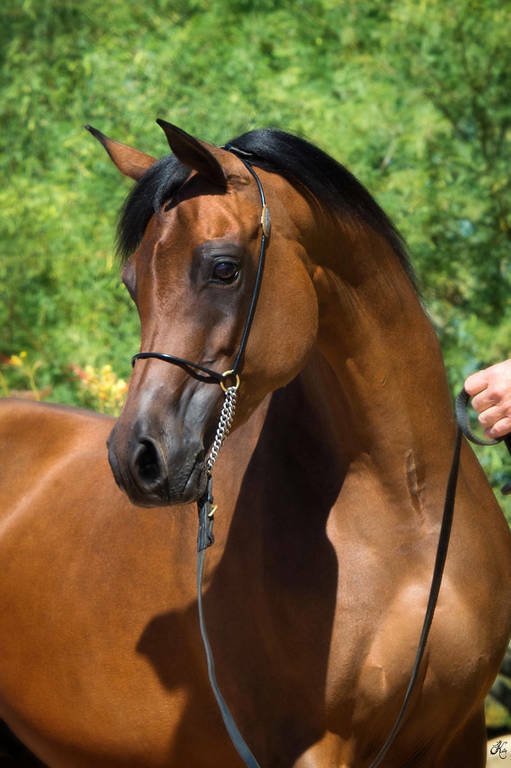 He is a beautiful blending of the Dahman and Abbayan strains within Straight Egyptian breeding and as an added bonus, he is tail-female to the world renowned Abbayan mare *Magidaa. 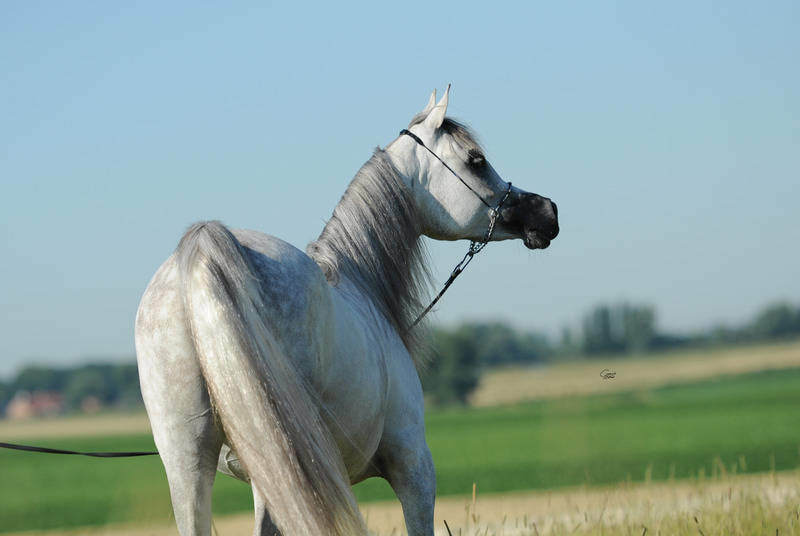 Mijan Heleenaaa represents an amazing pedigree including living and past legends like Anaza El Farid, Ruminaja Ali, Bint Magidaa, Ansata Ibn Halima, Deenaa, Nazeer, Morafic and many more. Mijan Kalulah’s sire, Anaza El Kadeen, a son of the legendary Ruminaja Ali and out of the champion producing Bint Deenaa, making him a full brother to Anaza El Farid. 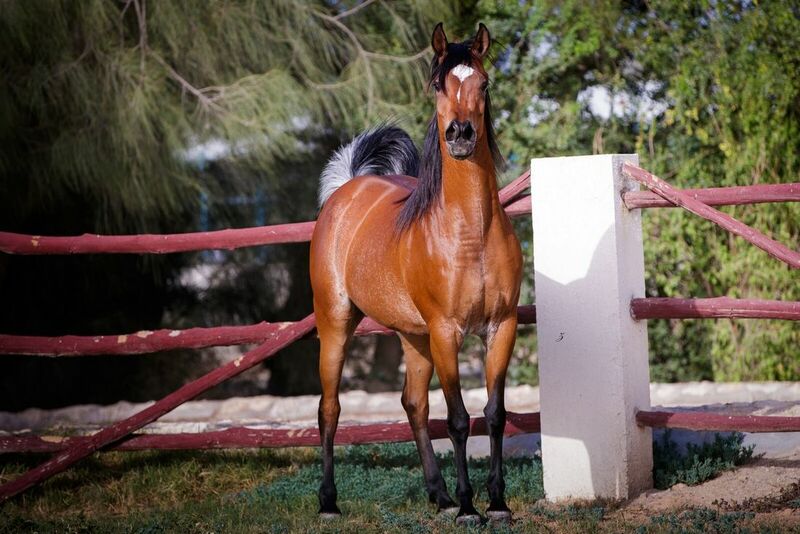 Kadeen brings with him long legs, an upright neck and level top-line with a wonderful hip and croup. 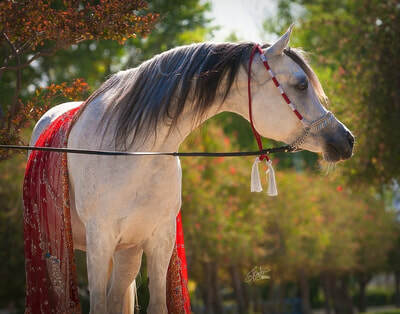 Mijan Kalulah’s dam, one of the Marquis I daughters, representing the best of Makhsous and Antigua Dance. Those lustrous black eyes with that sweet expression. The most beautiful movement and carriage, tails up, heads swinging - they are full of life. 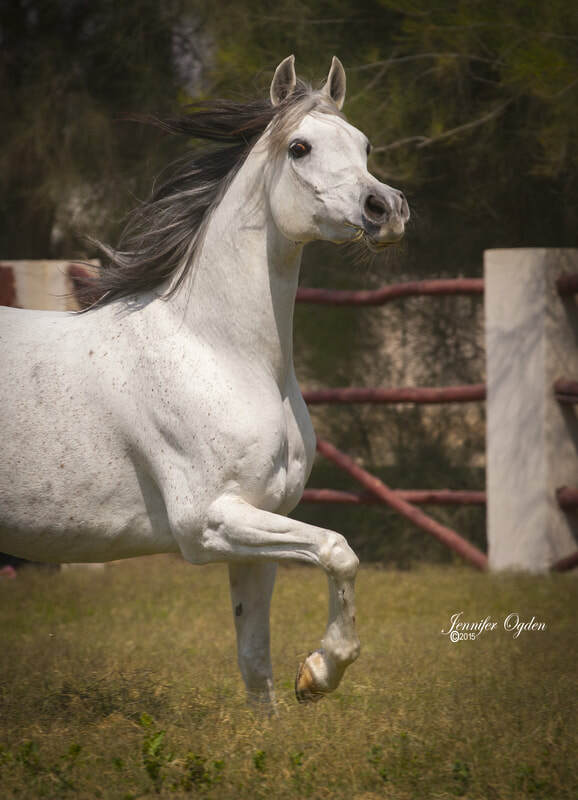 IN FOAL to Qaysar Al Jood for 2018. 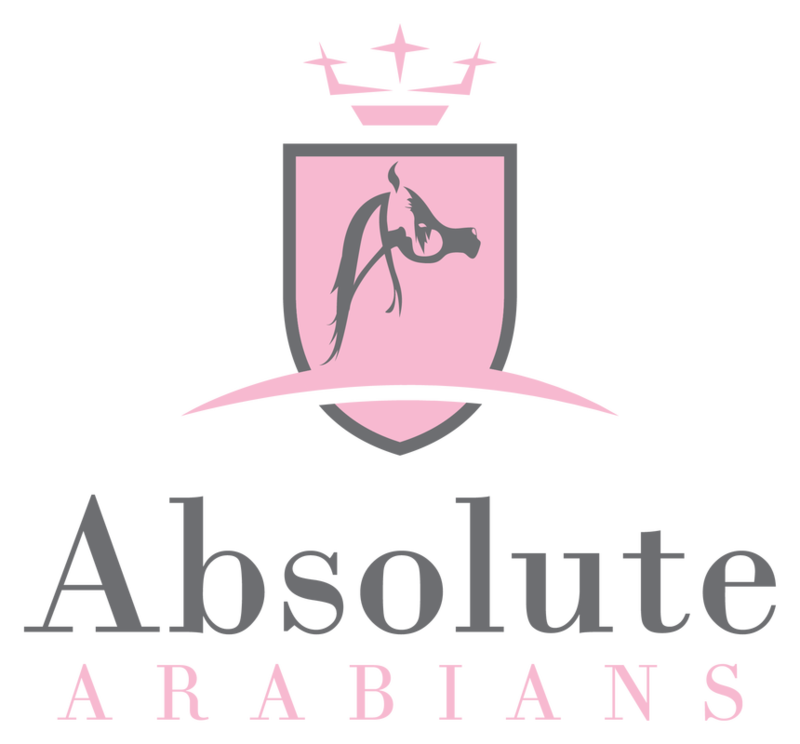 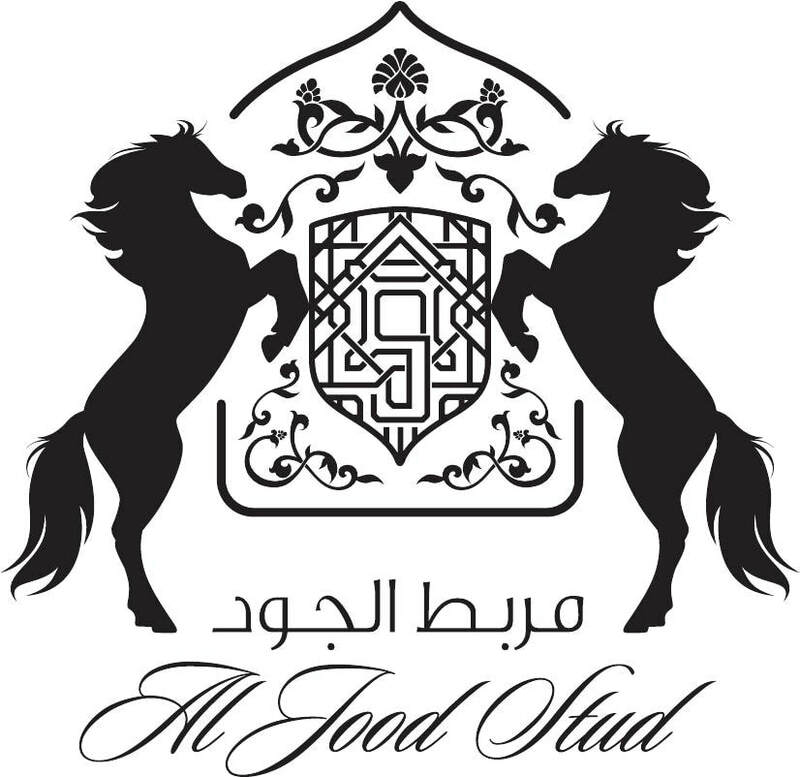 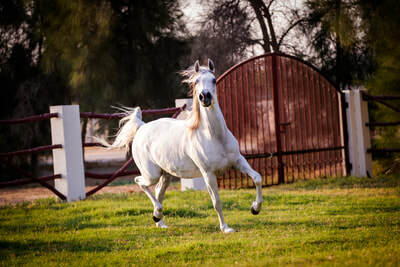 Miss Ajmanya-D is an extremely beautiful mare, both eye-catching and flamboyant, endowed with the characteristics and conformation of the most highly accomplished show horses and a dynamic pedigree occupied by the breeds all time greats such as, WH Justice, Magnum Psyche, Padrons Psyche, Padon, Odessa, Negatraz, Sanadik El Shaklan, El Shaklan, Estopa, Morafic, Nazeer, ... All guaranteed to ensure Miss Ajmanya-D will consistently breed her extreme look and charisma, the qualities sought by astute breeders around the world. 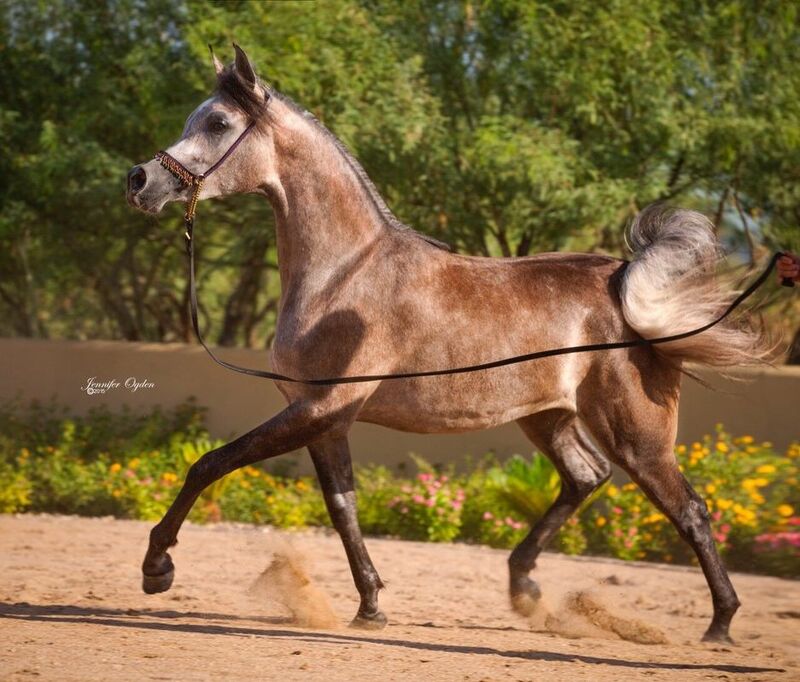 SG Lace is a mare of El Shaklan type, out of a Maleik El Kheil daughter, Malikeh El Sakeenais a mirror of her 20-year-old dam. 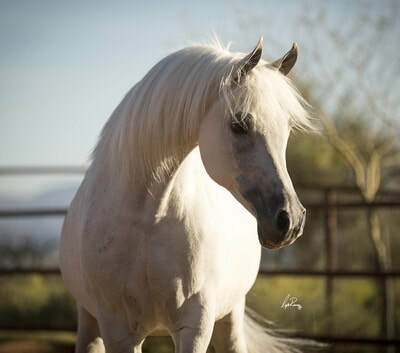 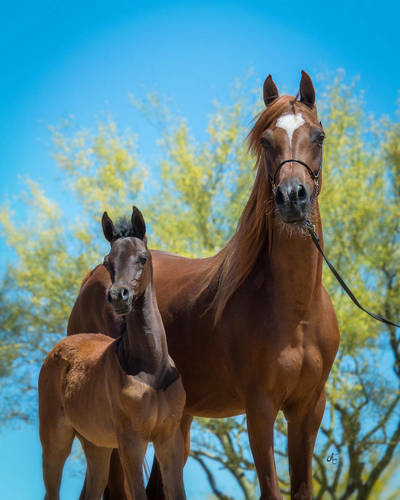 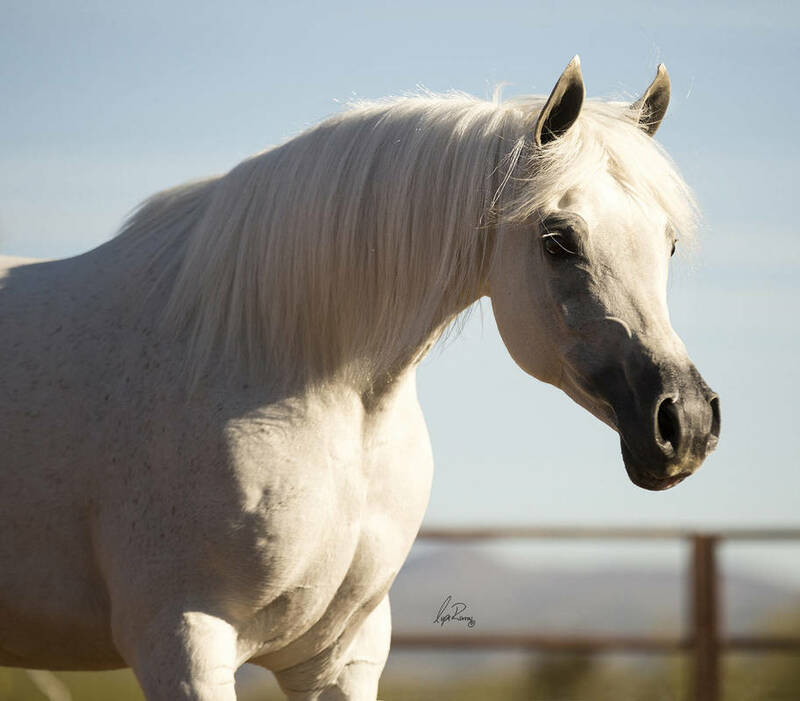 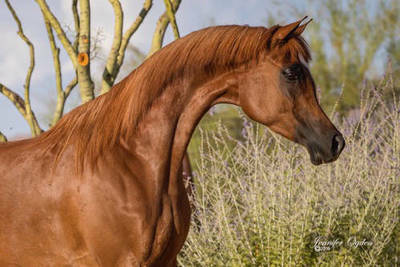 Lace is sired by 3 times El Shaklan related Akhenaten, who not only had success in the show ring himself, but has the most amazing world champion mares in his family tree. Lace has so far never been exhibited, but should be as she has the quality and attitude to shine and most definitely stands out in a crowd, with the most amazing movement and tail carriage. 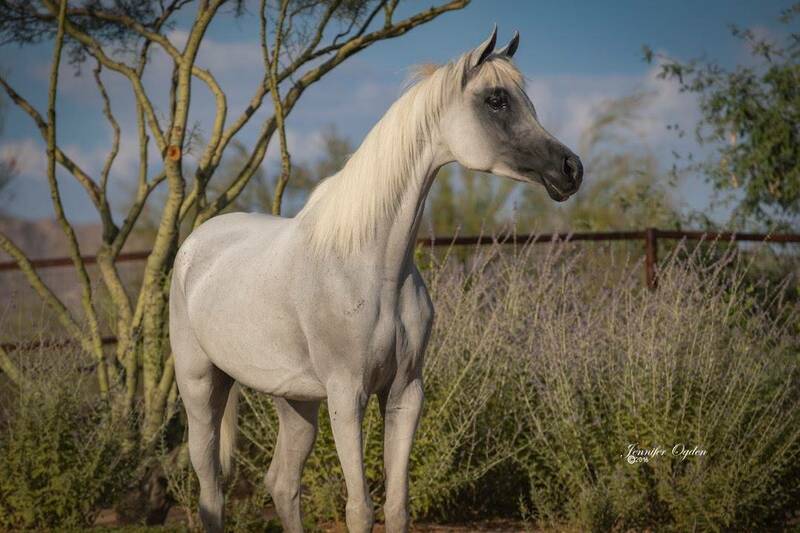 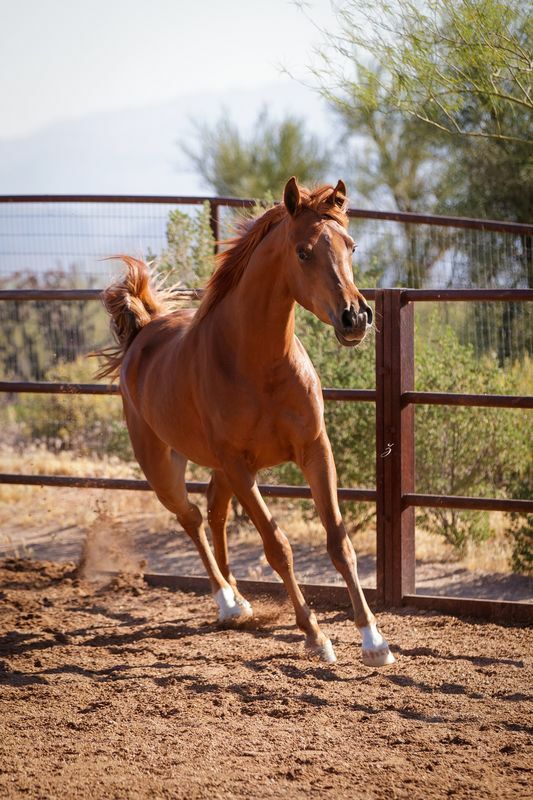 SG Lace will certainly be an exceptional brood mare and a quality addition to a discerning breeding program.